Join us for the launch of a significant SBEnrc research report, hosted by our Core Partner Aurecon in Perth, Brisbane, Sydney and Melbourne throughout October and November 2018. Most cities want better public transport as well as more lively, productive and sustainable centres, and most cities want to integrate this transit and land-use. But how? This important new report from SBEnrc reflects the development of transit-land development integration globally and calls for a new model that integrates transit, finance and land development. We look forward to keeping you up to date with the outputs of this new suite of projects. If you know someone who would also be interested, why not forward this newsletter? 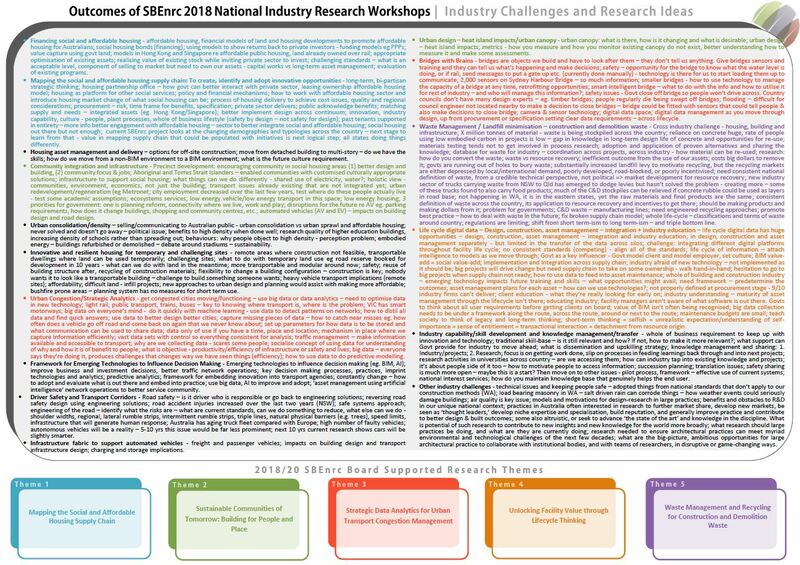 If you’d like to participate in a 2019 National Industry Research Workshop to identify industry challenges and develop ideas for research, we’d love to hear from you. 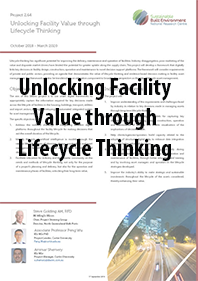 For our research to make a difference, it needs to be meaningful in real life application. And it needs to stay relevant to be used by the organisations that it was intended to benefit. It’s important to make sure we are hitting the mark and addressing challenges identified by our industry partners. We are constantly exploring ways of measuring the impact and uptake of our research to ensure it is suitable for practical application. 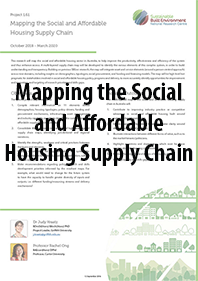 Since 2014, SBEnrc has been supporting research in the critical area of social housing. Our national research program includes projects that focus on rethinking how social housing is delivered, demonstrating the value of investing in social housing infrastructure, and improving the suitability, supply and provision of affordable housing infrastructure. To determine the effect of our social housing research, the SBEnrc Governing Board approved a pilot study to evaluate the uptake and impact of the program. The study invited feedback from a range of industry partners and also considered indicators of utilisation across industry and broader dissemination. The study has now been completed and the final report is expected by the end of October 2018. If you are interested in receiving a copy of the report, please get in touch. We are very proud of SBEnrc’s long-standing project leader Professor Peter Newman AO, who was recently recognised at the Premier’s Science Awards as Western Australian Scientist of the Year. Integrated Cities: Procuring Transport Infrastructure through Integrating Transport, Land Use and Finance which explored a range of options for sustainable public transport, including trackless trams. Congratulations Peter, for this well deserved recognition. We have recently bid a fond farewell to two of SBEnrc’s longest serving collaborators and supporters as they head into retirement. Peter Gow, (Executive Director, Building and Energy, in the WA Department of Mines, Industry Regulation and Safety (DMIRS), and Carolyn Marshall, (Principal Architect, Building Research and Technical Services, in the WA Department of Finance, Building Management and Works), have made significant contributions to the centre over many years. Peter has been a collaborative partner for more than 15 years, working with the centre from our previous iteration as the Cooperative Research Centre CRC for Construction Innovation, and continuing his support as we evolved to our current form as a National Research Centre. His leadership and advocacy on industry challenges has brought industry and government together to work on research ideas to solve issues such as sustainability, industry competitiveness, regulatory reform, workforce capability, and innovation. Carolyn’s journey with SBEnrc began in 2009 when she took on coordination responsibilities on behalf of the WA Government and in 2011 collaborated on a SBEnrc and then ARC Linkage Project to leverage research and development for the Australian Built Environment. She has subsequently worked with us on more than a dozen projects, and has been a member of the Research and Utilisation Committee for the entire time of her involvement with the centre. Keith Hampson, SBEnrc CEO presented Peter and Carolyn each with a certificate of appreciation to acknowledge the extraordinary service and support they have afforded the centre. We wish them both the very best as they embark on their next adventures. The Sustainable Built Environment National Research Centre’s Governing Board traditionally holds a small senior networking dinner to coincide with its quarterly Board meeting. 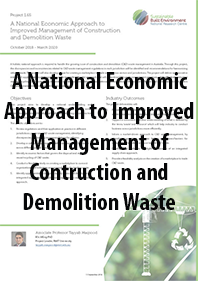 These events serve as an opportunity to maintain important connections and ensure SBEnrc’s research and adoption strategies are informed by industry, government and research leaders. International Council for Research and Innovation in Building and Construction (CIB) World Building Congress 2019, Constructing Smart Cities, 17-21 June 2019, Hong Kong, China. Our challenge is to continue growing the value and impact of our applied research more deeply and broadly across Australia. 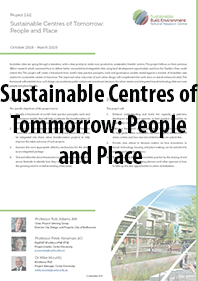 The Sustainable Built Environment National Research Centre (SBEnrc) is acknowledged as an excellent example of a CRC that has graduated into an independent organisation delivering unique industry, government and research collaboration.